Is this the ultraportable to make us look beyond the MacBook Air? Ultrabooks are super-thin, light, sleek and powerful laptops that aim to emulate Apple's recent gains with the Apple MacBook Air, and finally give consumers a reason to invest in PCs again. 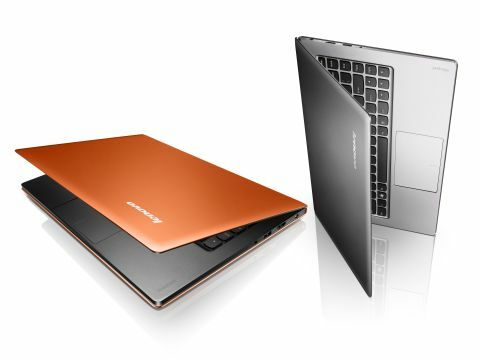 Lenovo hasn't obsessed over aesthetics, and this laptop is no Apple MacBook Air clone. It seems chunky next to the wafer-thin Asus Zenbook, which features a wedge-shaped design that tapers off to a thin, blade-like point. The body is aluminium, and weighs 1.4kg, the same as the Acer Aspire S3, but much heavier than the Toshiba Portege Z830 and the Toshiba Satellite Z830-10U. If you're looking for an ultrabook that will turn heads, you will most likely look elsewhere, but can the Lenovo IdeaPad U300S impress with power?